DIVINE CHRISTIAN GIFTS - Post Card Size Miraculous 2019 Calendar. Post Card Size Miraculous 2019 Calendar. 2019 Calendar - Miraculous with silver foil highlights. 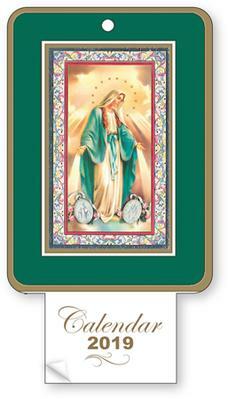 Post Card Size 8 1/4" x 4 with liturgical date tab.